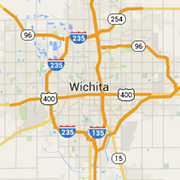 Visit some of Wichita's finest clothing stores, shoe stores and jewelers. Shops and boutiques for every fashion in Wichita. Optometrists providing Wichita and surrounding areas with designer frames, contact lenses, incredible customer service, and unmatched eye care for over 35 years.